This December, local charity Reach is tackling the issue of loneliness facing people with learning disabilities through its Big Give Christmas Challenge campaign, 'Not Lonely this Christmas'. The charity is aiming to raise £12,500 between Tuesday 28th November and Tuesday 5th December which will 'release' matched funding from pledges and a Charity Champion bringing the total to £25,000. This means that every £1 donated is doubled! Donations will go towards Reach's courses, social activities and personalised support for people with learning disabilities in Southwell, Newark and Mansfield. All too often, people with learning disabilities can feel lonely and isolated, with many struggling to make social connections outside of their family or carers. By offering daytime courses, evening activities and supported volunteering opportunities, Reach supports clients to make friends and feel a part of their community. Reach Southwell client, Tom, attends weekly sessions including Media Fun, Cookery and courses at Flower Pod. Tom describes how Reach has had a positive impact on his life and has helped him to make new friends both within the organisation and in the wider community. For Reach Southwell clients, taking part in local events such as the Lantern Walk and the Bramley Apple Festival connects them to the community, whilst also helping to build their confidence and improve their communication skills. Reach Southwell client, Helen, says, "Reach helps me to get on with other people and meet people and make friends." 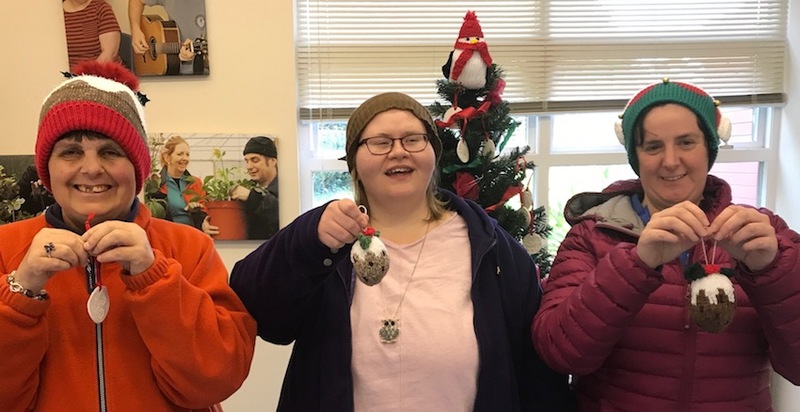 Volunteers and clients – including Helen and Tom - have been busy crafting Christmas decorations and keepsakes which Reach are handing out as free Friendship Tokens in the run up to the Christmas Challenge week. These include knitted Christmas puddings and handmade clay decorations that can be hung from the tree. Julia Sandhu, Reach Fundraising Director, says "We hope that people will pop in to our Southwell centre in Prebend Passage to pick up a Friendship Token and find out more about our 'Not Lonely' appeal. Research shows that social isolation and loneliness significantly impacts on physical and emotional well-being. Everything we offer through our socials, courses, volunteer support throughout the year helps mitigate against loneliness. Funds raised through the Big Give Christmas Challenge will help ensure that more than 200 people with learning disabilities in Nottinghamshire – about 50 from Southwell and surrounding villages alone – will be supported to make positive relationships, have purposeful activity and be part of local life". People can double their donation online from midday on 28th November until midday on 5th December 2017. Visit https://secure.thebiggive.org.uk/project/notlonely to donate. Alternatively, those who face difficulty getting online can pop into the Reach Southwell on Prebend Passage, NG25 0JH and use the online facilities to make a donation during our Open House events. These are being held on: 28th November - 11am-midday (Media Fun Showcase), 29th November – 10am-midday (Singing Showcase); 2pm-3pm (Pottery Showcase) and 4th Dec – 2pm-3pm (Women's Group presentation). The charity has recently made a film to illustrate the impact of its work which is also available to view on the website.